Installed mine today! Went with green to match my Aeroforce Gauges. It sure was a pain in the a$$ to get all the LEDs on. I like that color Thanks for the link for the write up and bulb info OP. Originally Posted by 4valve 4tw? Everybody loves to watch a train wreck, weather they enjoy train wrecks or not. I bought the bulbs, and am very happy. Has anyone done these LEDs for the rear tail lights? It would be around $120.. There is a video with a Mustang on the site. He has sequential turn signals and you can see the LEDs light up and turn off faster. Hard to see what they really look like though. Bolt ons: You name it! Awesome, I'll be going with the cool white to match my AB mach. I agree, this site needs more "how-to's". SVTP is FULL of them lol. I have LEDs in my streetbikes turn signals and they do blink faster than normal. On my bike I like that because Im switch lanes fast. 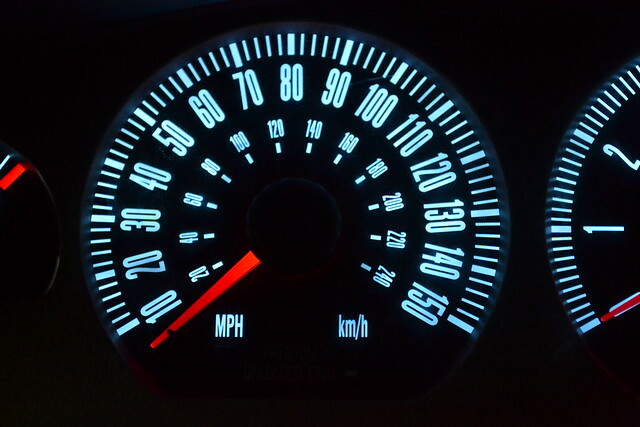 There is a control moduale they make so that you can change the speed that they blink. I installed the cool white ones. They seem to match the gauges nicely. I may buy another set of the blue and see what they look like also. Picture came out a little blurry. Good lord what is your water temp at?! 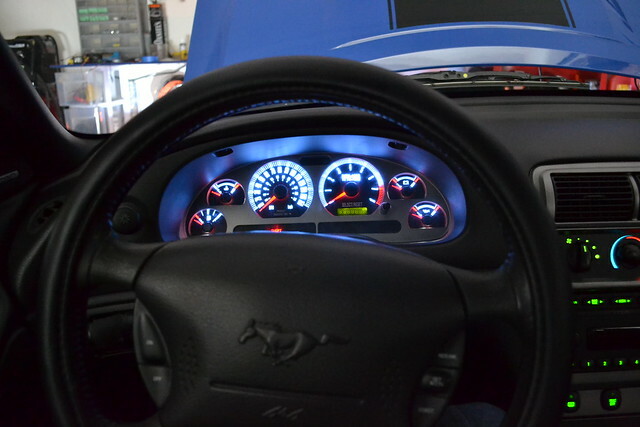 Yes, They match the cobalt auto meter gauges wonderfully. 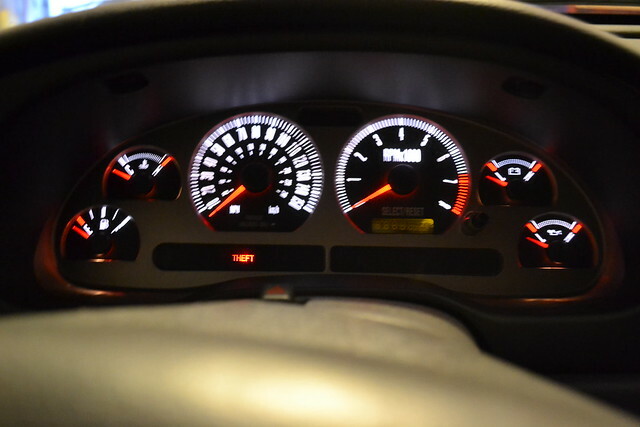 The aftermarket gauges actually almost make it so you HAVE to do the LED swap in order for them to look balanced anyway. I love mine. Just enough color without looking ricey or obnoxious. I also added some in the trunk light harness so you can actually see in the back of the trunk when the deck is up. Last edited by shame302; 11-19-2011 at 12:58 PM. I've considered doing this. 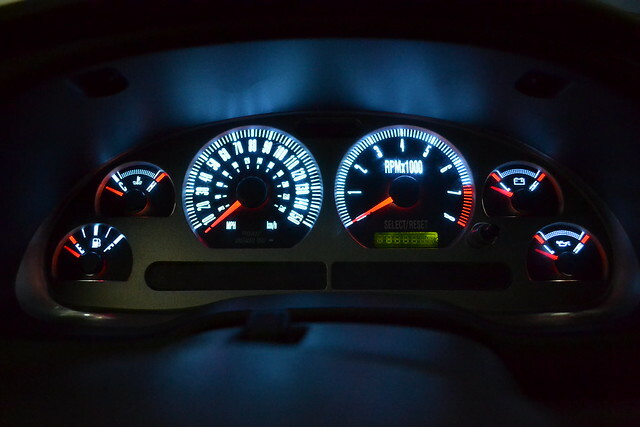 I put LEDs in the SVO's gauges (gauges, turn indicators, warning lights and high beam) and I am very happy with the results. After I put them in, it became very clear the standard bulbs in a fox body are pretty dim. just did this last night with some LED's that my brother had laying around. crazy simple, however, i just ordered new ones as the ones he had laying around were both blue and not very bright. super bright, white, 75 degree LED's were just ordered. got my LED's in the mail today...install tomorrow! Pics when installed, good luck. I keep trying to pull back on the little metal clip as well as the knob itself but the **** thing won't budge! I'm curious what the Blue ones would look like. They seem brighter in the pics due to how the camera enhances the low light. I'm curious how the Blue ones would look. I was just saying "**** THATS BRIGHT!!!" 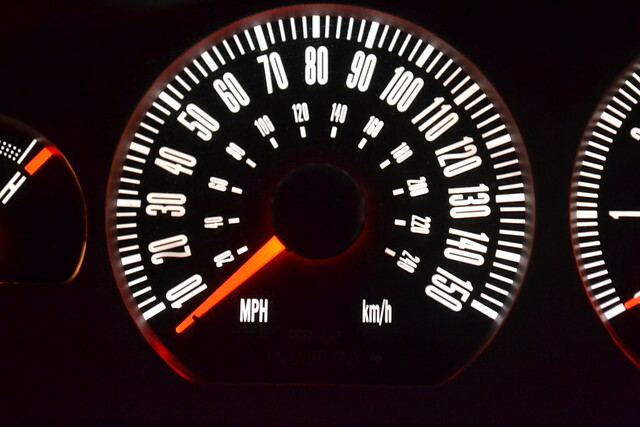 You should wire it up as a shift light...seeing that it's in the same cluster as your tach. 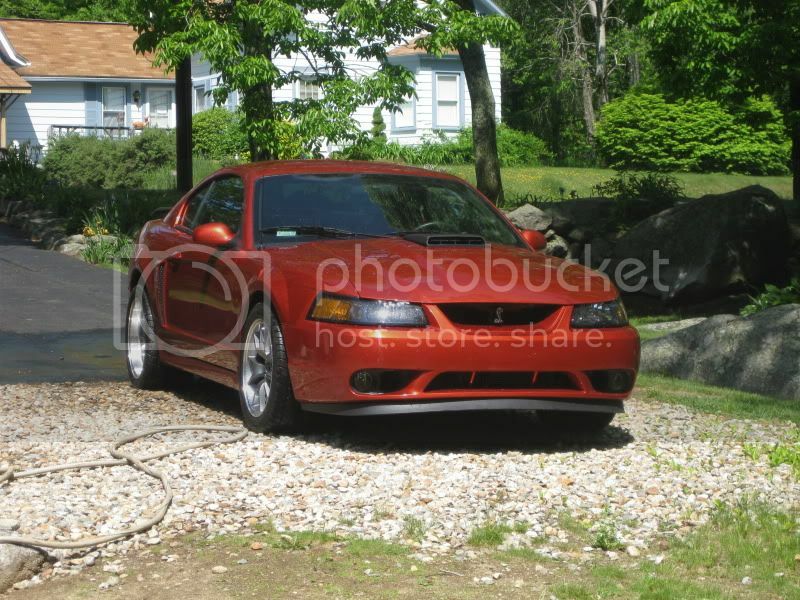 Ford C springs, MM Adjustable lower control arms, DD Mach rims, Honeycomb panel, sequential turn signals, modded Bullitt skirts, wingless decklid, Cobra mirrors, Flowmaster 40's, Fiore quadrant and firewall adjuster, 4.10's, Shelby diff cover, MGW shifter, Raptor shift light. Does anyone know what size LEDs I'll need for the smaller lights in the gauge cluster and for the defrost/traction control/fog light buttons? I'd like to get rid of everything green.